“Whatever your position and stage in life, whether you are finding your initial way to meaningful employment or are seeking to maintain a sense of vitality in what you currently do, Bryan will address how the richness of a liberal arts education and faith perspectives are key to finding and maintaining our calling and sense of purpose,” says Noelle Wiersma, dean of Whitworth’s College of Arts & Sciences. “Bryan is well-known for his engaging and inspirational qualities as a speaker, as well as his strong foundation in psychology research." 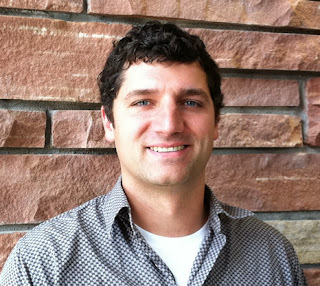 Dik is an associate professor of psychology at Colorado State University, and specializes in psychology that has an emphasis on a sense of calling and purpose in one’s work. He received his Ph.D. from the University of Minnesota in 2005. He and is the author of Make Your Job a Calling (Templeton Press, 2012) and has published more than 55 professional articles. Dik is also the co-founder and chief science officer of Career Analytics Nework, Inc., which helps companies form relationships based on industrial and organizational psychology. He serves on the editorial boards of six research journals, including Journal of Counseling Psychology and Journal of Vocational Behavior. In 2010, he received the Early Career Professional Award from the Society for Vocational Psychology.